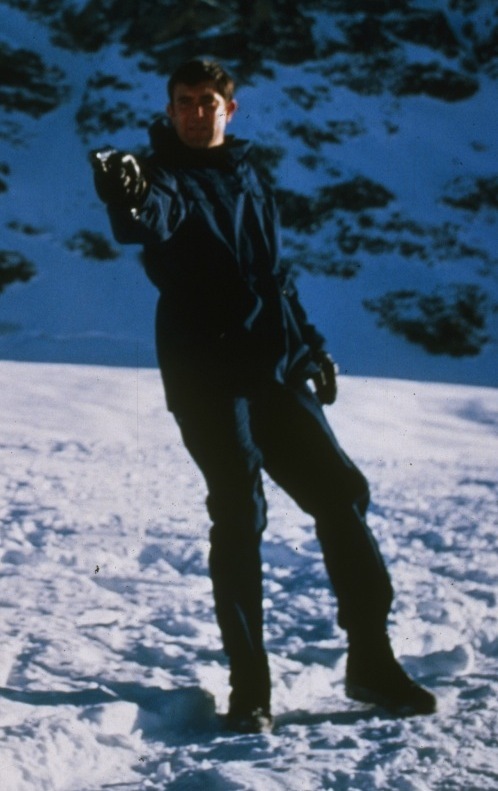 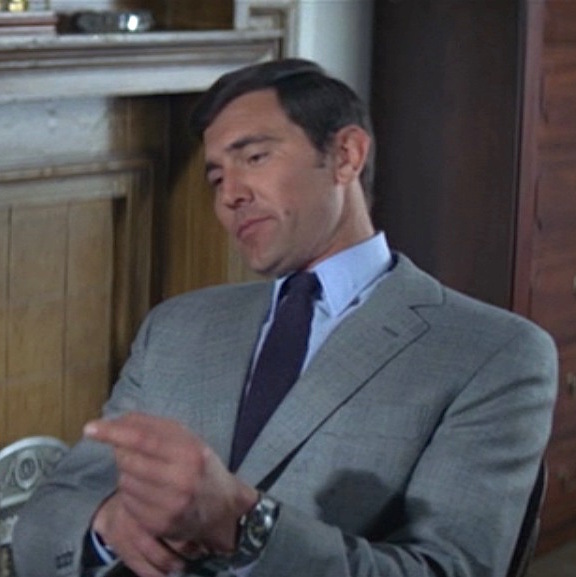 George Lazenby celebrated his 78th birthday two days ago, so BAMF Style is featuring his arguably most famous role of James Bond in On Her Majesty’s Secret Service for the 00-7th of his birth month of September. 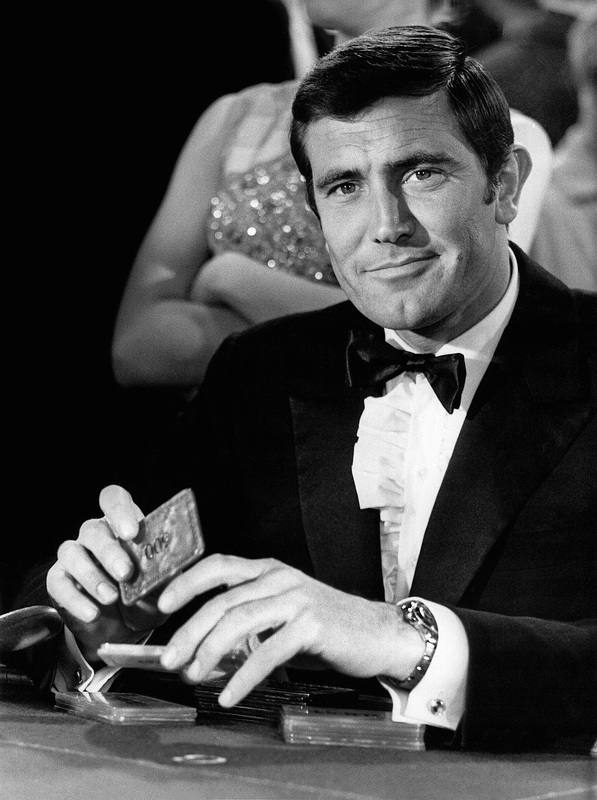 For the 007th of December, I’ll be focusing on a very holiday appropriate look from one of best-dressed (if not best-acted) Bonds, George Lazenby. 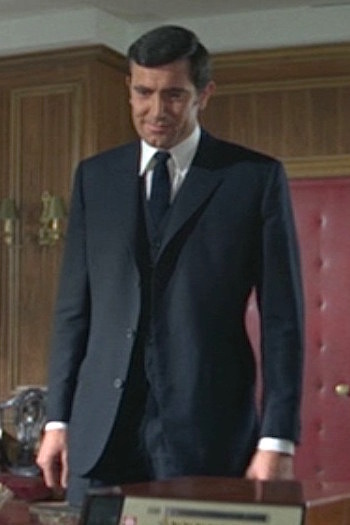 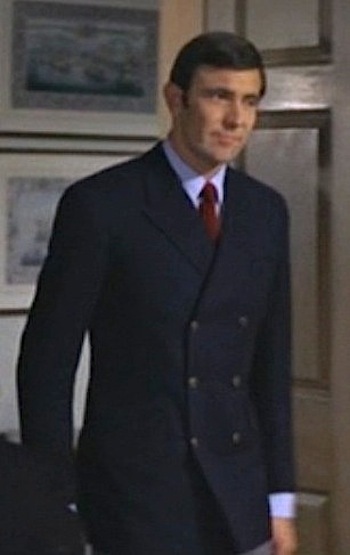 While this scene doesn’t exactly take place at Christmas, later scenes establish this film as “the Christmas Bond” and Lazenby’s attire when visiting M at Quarterdeck would be fine for a fashionable holiday outfit. 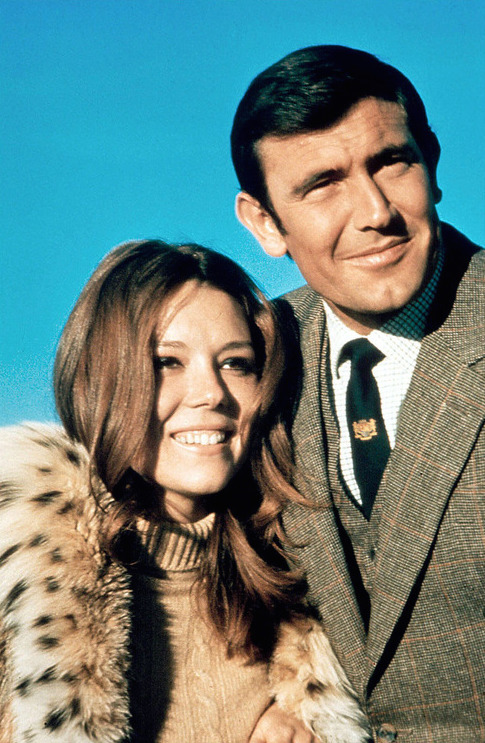 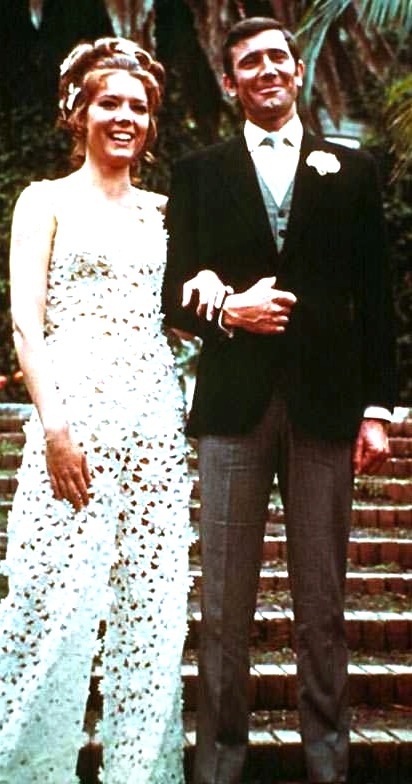 Plus, the book On Her Majesty’s Secret Service features Bond sharing a Christmas dinner with M at the latter’s home.